Since we have 5 people in our little r.v., towel drying space can be limited, especially since we beach camp quite frequently. And since you just jump out of the shower and quickly dry off, before throwing clothes back on, I think thinner, lighter towels are the way to go. I found these little beauties and just couldn't resist the rainbow colors. They're so cheery! Added bonus is that each family member has their own color (I let them choose at the beginning of each trip) so no shared cooties. haha. They have worked great so far! 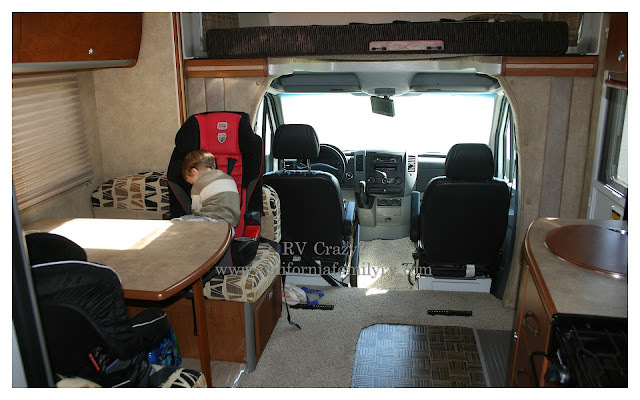 So, for rv'ing, don't get those luxurious thick bath towels, look for thin & cheap. See, this post will save you money! So after each trip, I throw all the laundry in, and as I'm sorting and folding, all of the rv "colors" are easy to pick out and get back in the rv quickly. This is also really helpful when I'm packing for the next trip. If I know all of the shower towels, sheets, blankets and kitchen towels are already clean & loaded in the rv, it's one less thing for me to add to my lengthly packing list. RV Colors- you are so dam clever!!!!!! !